With its colorful language, scenes of violence, and, as the ESRB puts it, "depictions of sexual material/activity," there’s a reason why Grand Theft Auto V has a M for Mature rating. 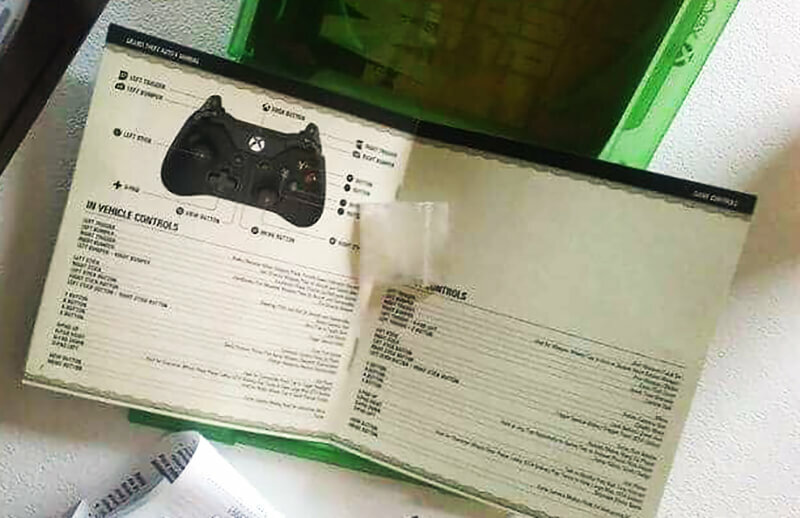 But Florida-based Mother Kayla McAllister discovered another reason why the Rockstar title was unsuitable for her eleven-year-old son: the used copy she got from GameStop came with a bag of meth stuffed inside the manual. McAllister wrote about the incident, which was reported by Kotaku, on Facebook last Sunday. She visited the Capital West Tallahassee GameStop earlier that day to trade in a few games for some old titles, one of which was a used copy of Grand Theft Auto V.
During the game’s long installation process her son decided to look through the manual, where he discovered a small bag of white powder that was later confirmed by police to be illegal drugs. “Today i took my son to gamestop in Tallahassee to trade in games and get some new ones. When he opened the booklet inside one of the pre owned games he ( MY ELEVEN YEAR OLD SON!!!!!!!) found this. A baggie of f**king meth! Clearly the game was not properly checked when it was traded in and because of the carelessness i could have lost a child. Thankfully He brought it right to us and said what is this?” McAllister wrote on Facebook. A police report filed with the Gadsden County Sheriff’s Office and obtained by Kotaku states that the field test on the substance came up positive for methamphetamine. Some people questioned whether McAllister made the story up, mainly because it’s the second time such an incident has occurred. Back in September, another 11-year-old boy, this time from Lake Charles, Louisiana, found a bag of meth in a used game box from GameStop. “Yeah, I keep getting messages saying I’m a troll. I stole a story. So i decided to google it an find all these stories about it. An now I’m pissed that they let it happen again,” she said. The case is now being forwarded to the police department in Leon County, where the GameStop store is located, for further investigation. It seems that GameStop isn’t being very thorough when it comes to checking the contents of its used games – other than inspecting the discs themselves. Responding to an inquiry from Kotaku, the company gave the following statement.